Thai staples like Tom Yum, Pad Thai and all kinds of curries have become really popular in the past decade; people obviously go crazy for umami-packed and pungent tastes. 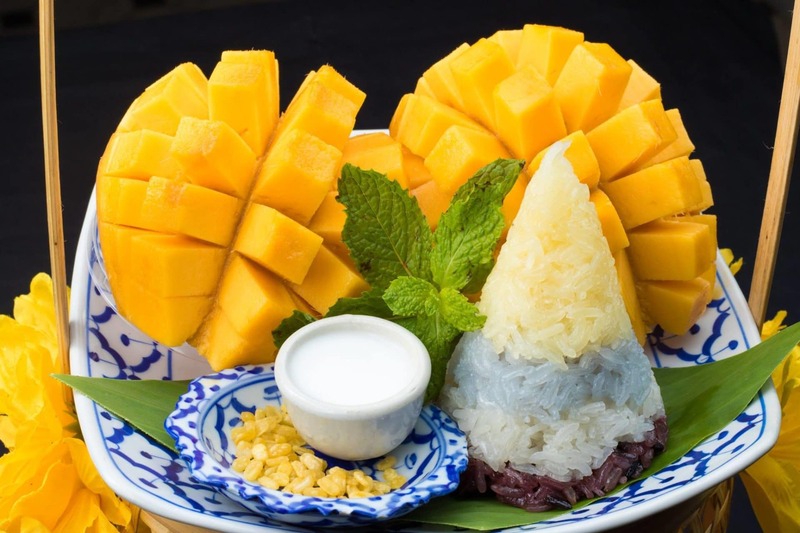 And although the cuisine’s delicate desserts – like mango and sticky rice – have also created a sensational craze among sweet aficionados, we simply can’t deny that Thai desserts have yet to reach the world stage. 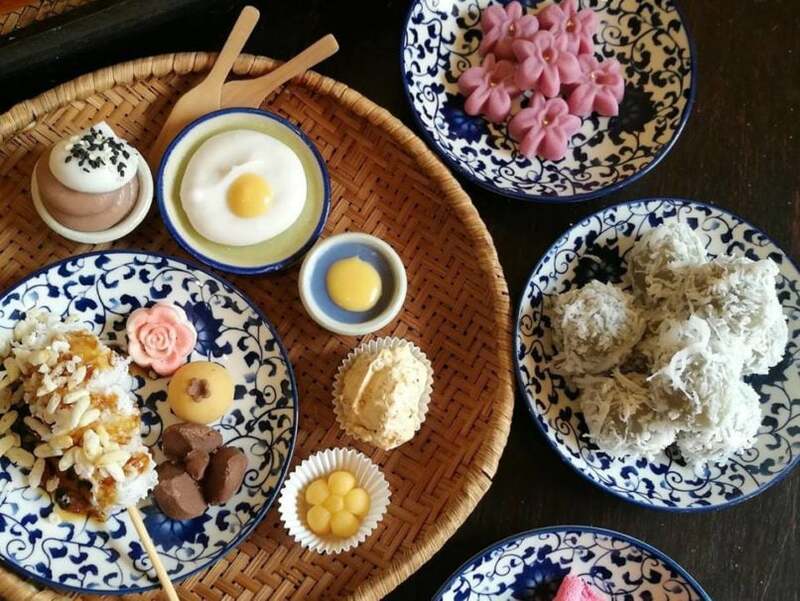 Luckily, with the openings of many Thai dessert-focused cafes in town, many souls have awakened to the array of sweet food available in Thai cuisine, while also opening the eyes of many Thais to the country’s long history of sweet traditions. So this summer (and Songkran), if you’re cruising the streets looking for a decent place to feast on an array of Thai desserts and to which you can also bring along your friends and family – your parents sure will love you for it – we’ve curated a list of 5 best Thai dessert cafes in Bangkok you need to check out. Scroll down to see which one should be first on your must-visit list. Ice cream is literally a life-saver dessert for summer. And for Thai-inspired flavours, no one seems to outdo One Dee Cafe. 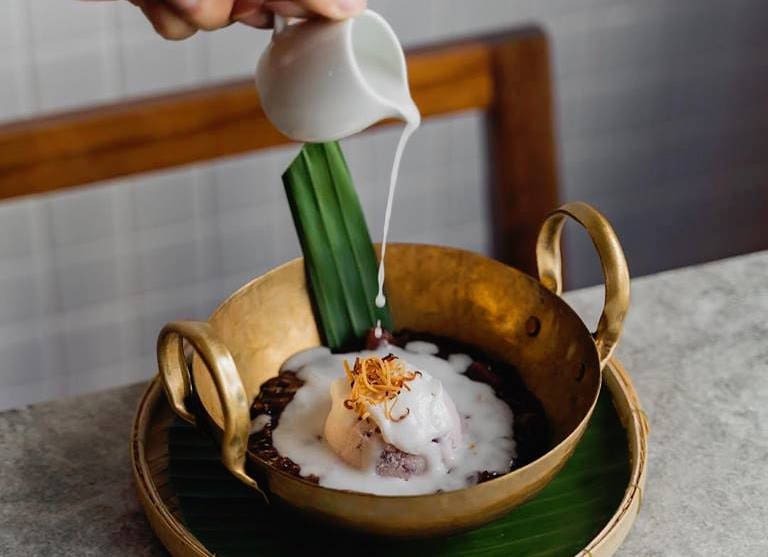 Here, signature Thai desserts get a better taste when they are reimagined into a form of ice cream. 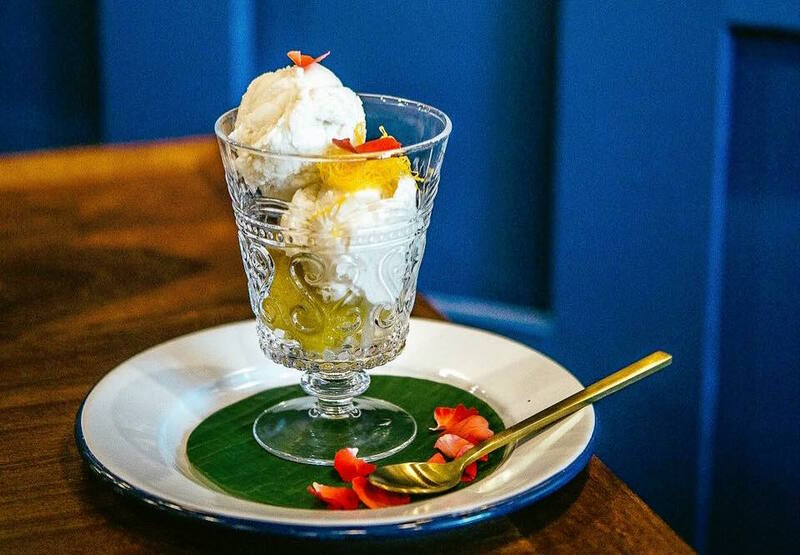 Partake in the glorious sweetness of Palm Sugar Ice Cream, Durian Sticky Rice Ice Cream, Thai Tea and, of course, Coconut Ice Cream. Try the Friday, Saturday and Sunday (THB 119), where the coconut ice cream is served atop black sticky rice pudding laden with diced taro. Among the residential neighbourhood of Ari Soi 1 you’ll find a Thai-style wooden cafe, V’Lacha, that sells and serves a wide selection of tea juxtaposed with Thai delicacies like Kanom Tom (Thai coconut balls), Kanom Taan (toddy palm cake) and luscious pandan custard with steamed bread. An afternoon tea person? Go for the V’ Lacha Afternoon Tea Set (THB 690) where you’ll get a beautiful plate filled with Thai sweet and savoury items and your choice of aromatic tea. The perfect remedy for the city’s sizzling-hot heat, however, lies in the bowl of Fresh Coconut Ice Cream with Caramelized Banana (THB 99). So make sure you give this one a try. Open: Tue-Sun, 10 am-9 pm. Don’t go to Khaosan area just for the booze-laden bars and nightlife. The neighbourhood offers far more than just a good fun night out and Thai street food. 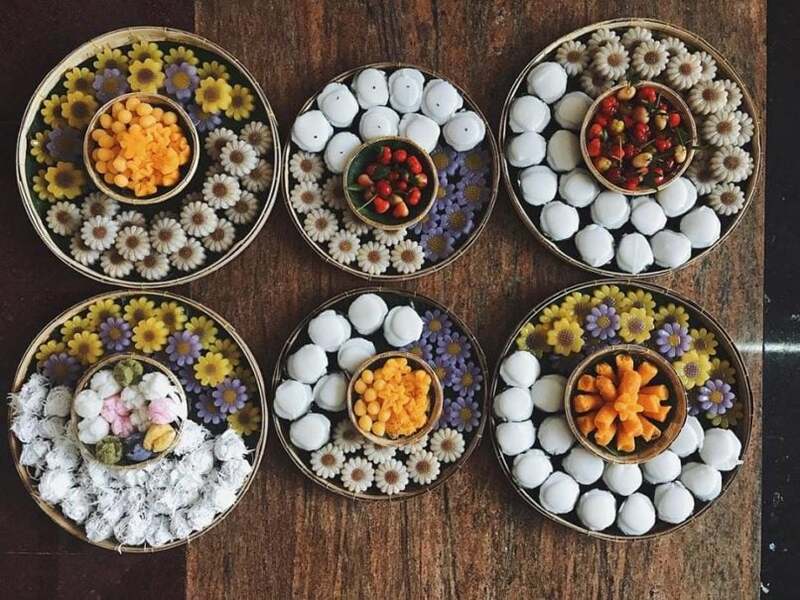 Head to Sane Cafe & Workshop, which is a Thai dessert cafe on Tanao Road, known for their fragrant and buttery kleeb lamduan (Thai shortbread cookie), kanom tom (Thai coconut ball), kanom tuay (Thai coconut milk custard) and more. Sane also hosts a series of cooking classes where you’ll learn tricks and tips on how to whip up the perfect Thai dessert your appetite is craving. Open: Tue-Sun, 11 am-7 pm. Kanom Chan Thai Desserts Bar is the city’s oasis for Thai sweets and savouries. The establishment is perched on the rooftop of Na Banglamphu Hotel and has heart-melting and tummy-awakening desserts that can make us sugar monsters drool. Tuck into staples like Mango and Sticky Rice (THB 120) or Kluay Buad Chee or Banana in Sweet Coconut Milk (THB 50). Craving something a little unusual in Bangkok’s market? Opt for the Kanom Chan or Layer Sweet Cake (THB 95) and Royal Kanom Krok (THB 95), which is Thai coconut pancakes topped with all sorts of toppings like corn, taro and spring onions. For more of a substantial bite, go for their saucy Pad Thai and meaty spring rolls. Cher Cheeva brings Thai charm to Rajathevee district with its array of Thai hand-crafted desserts. The small cafe nestled next to Siam Nidra Hotel boasts a jungalow interior that, at first glance, might deceive diners into thinking you’re dining in a western-style bakehouse. 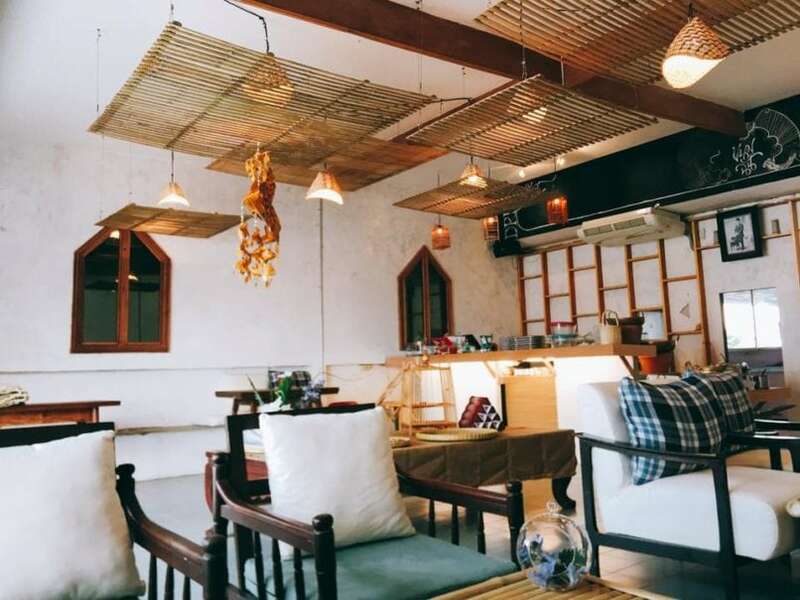 Those looking for an afternoon pick-me-up in a leafy, comfort-filled setting will sure love to sit and linger here at Cher Cheeva while devouring on their treats sold by the piece such as coconut tapioca and corn pudding and sweet egg threads. Open: Tue-Fri, 12-5 pm; Sat-Sun, 12-6 pm.